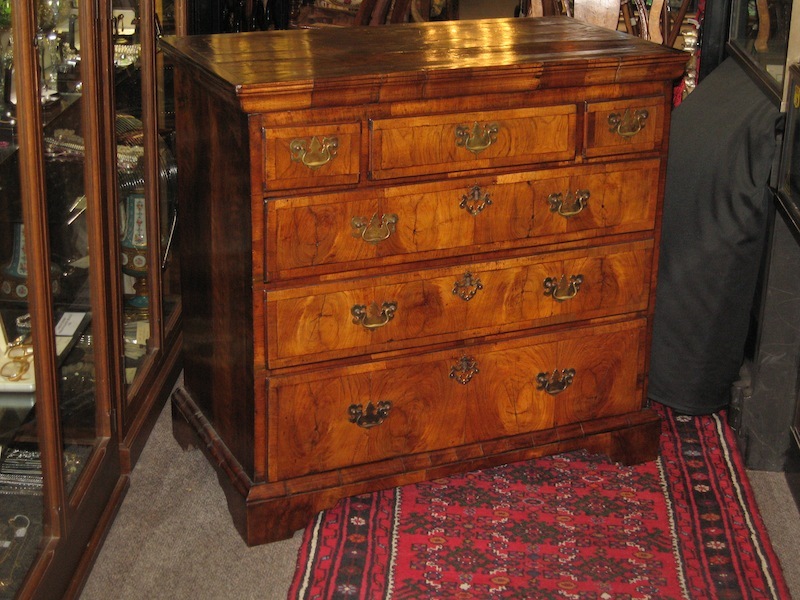 This George II period walnut chest was originally a chest on stand, which is demonstrated by the top drawer arrangement. Now it is a much more useful chest standing 104 cm tall, 99cm by 53 cm. Early 18th century Baroque walnut furniture is justifiably much prized for its golden colour and elegance. Especially exciting and rare is the oyster veneering of the drawer facings. These are bookleafed accross the surface and contained within a border of walnut banding. The brasses, while appropriate, are modern replacements. 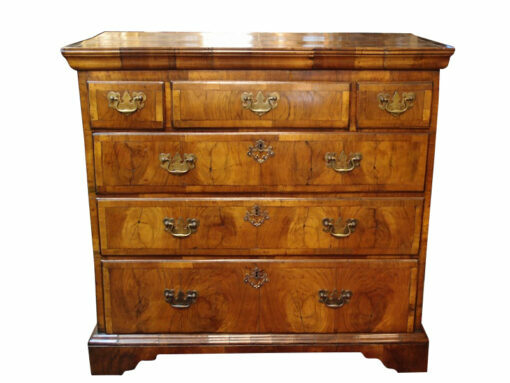 The drawer linings are oak and the drawers run smoothly.